Your doggy is a trash picker or it gives evrth found a stab? Scavenging can be extremely harmful not only because of the parasites, but also because of poison-containing substances. Not even to mention it is disgusting. There are at least two tips to make your pooch get rid from it - training and controlling him or her. Though training takes time and treats, it is perfect to teach the dog to "come away", to "drop" random objects found outdoors, and even to "leave" tasty food in case you command to do that in order to anchor the cue. 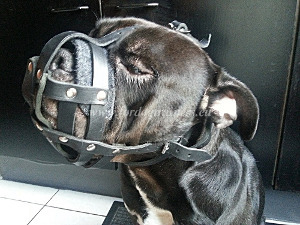 Nevertheless, while you're still working on it, you could use special dog muzzle to protect your doggy from possible threats.. If your dog is not aggressive towards others you may think it doesn't need to wear a muzzle at all. But a good muzzle is indeed not a sign your pet is someone to beware of! It indicates that the owner is courageous enough to acknowledge and to solve the problem many ignore. In some cases the muzzle on can save the dog's life. It is vital for every dog to pant and to drink - when they open their mouth fully they cool themselves. Depriving your pooch of the opportunities to do it can lead to certain health issues. 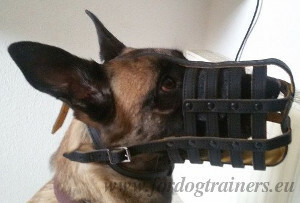 Thus, the muzzle should allow the dog to breathe and to pant. 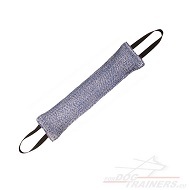 Besides, it should be comfortable enough not to provoke your doggy to take it off with its paws thus hurting itself. 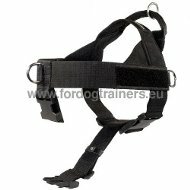 Even if your dog is inventive enough to get what it wants even through the sides of the muzzle, there still exist some objects which the muzzle can help to ignore. Our M41 leather muzzle and padded leather muzzle M41R were already appreciated by many caring dog owners. 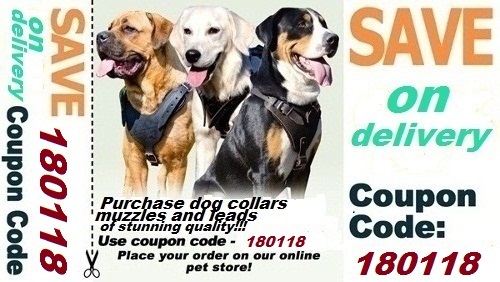 Fill in the coupon code 180118 and get these wonderful muzzles, as well as other products, DELIVERED FOR FREE! Only two days: 18th and 19th of January 2018. Be attentive! *Please, do not forget that the free delivery is applicable only for products that are not heavier than 2 kg. Such items as bite protection jackets, suits and sleeves are delivered only by EMS.